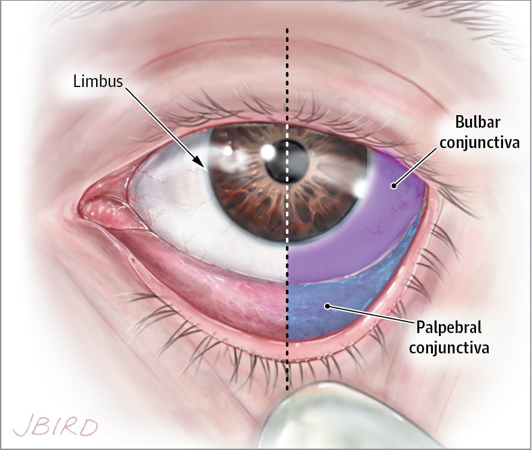 The conjunctiva is a mucous membrane that that lines the surface of the eyelids (palpebral) and globe up to the limbus (bulbar). 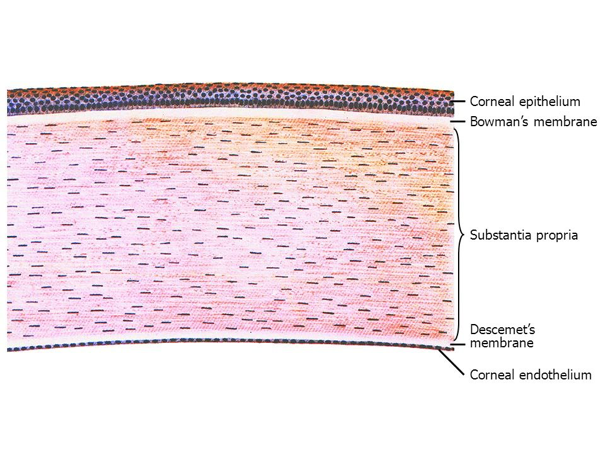 The conjunctiva itself is made up of non-keratinized squamous epithelium with goblet cells and substantia propria, which is highly vascularized. 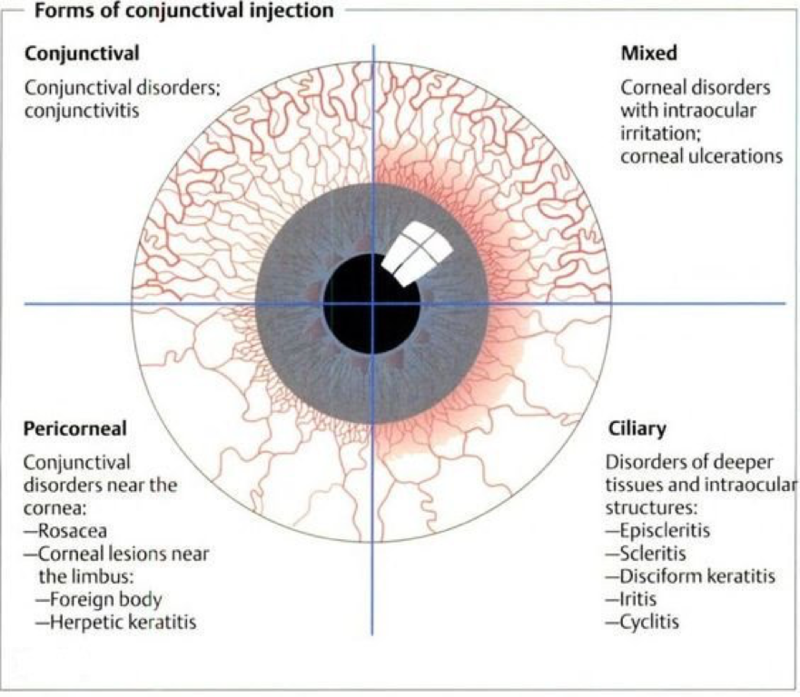 The important thing to remember is that the conjunctiva is transparent, unless inflamed (which is termed “injected”). 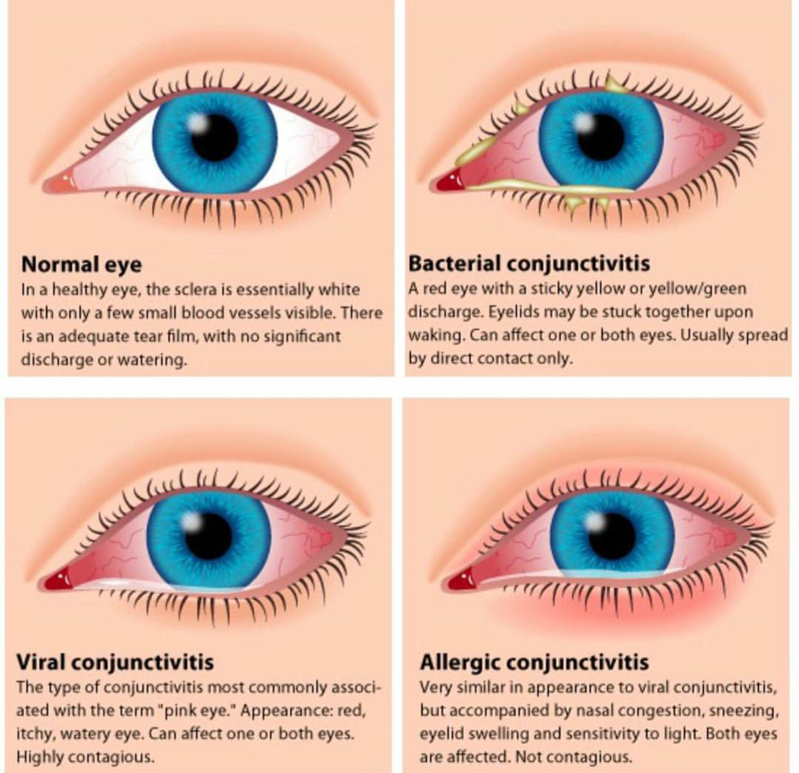 Bacterial conjunctivitis is more common in children than adults (though viral is most common overall). 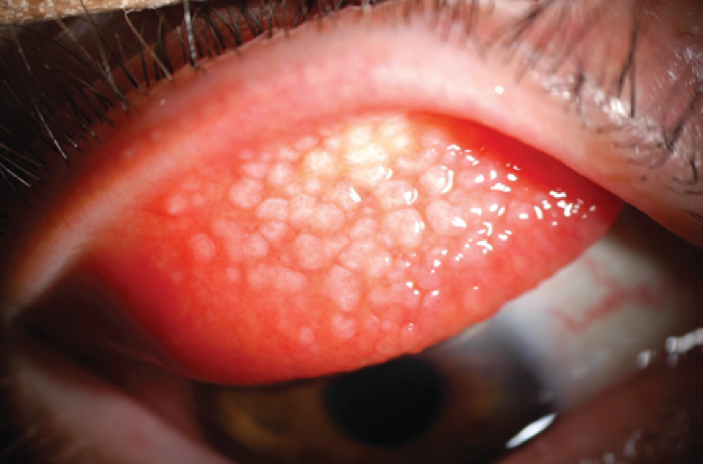 These patients are at an increased risk for Pseudomonas infections and should be advised to refrain from wearing their contacts and to have a formal evaluation by an ophthalmologist to rule-out serious infection. Any antibacterial treatment in these patients should also cover for Pseudomonas. 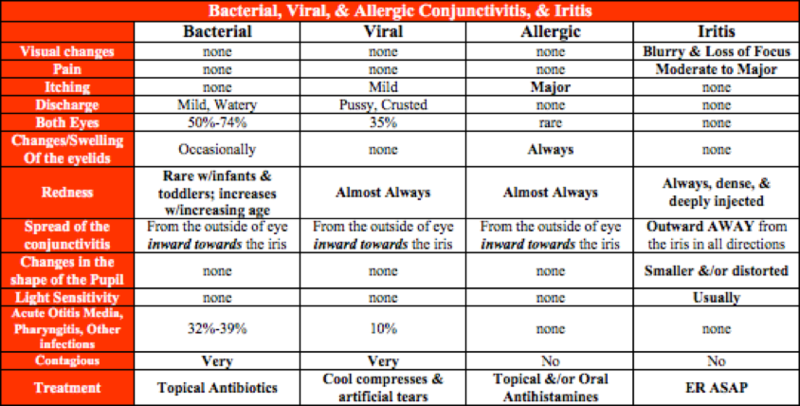 With the exception of gonococcal conjunctivitis, all types are self-limiting and will improve on their own. 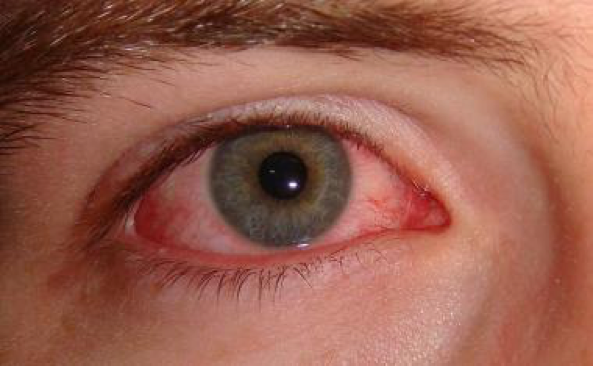 Having said that, bacterial conjunctivitis will improve faster with topical antibiotics. 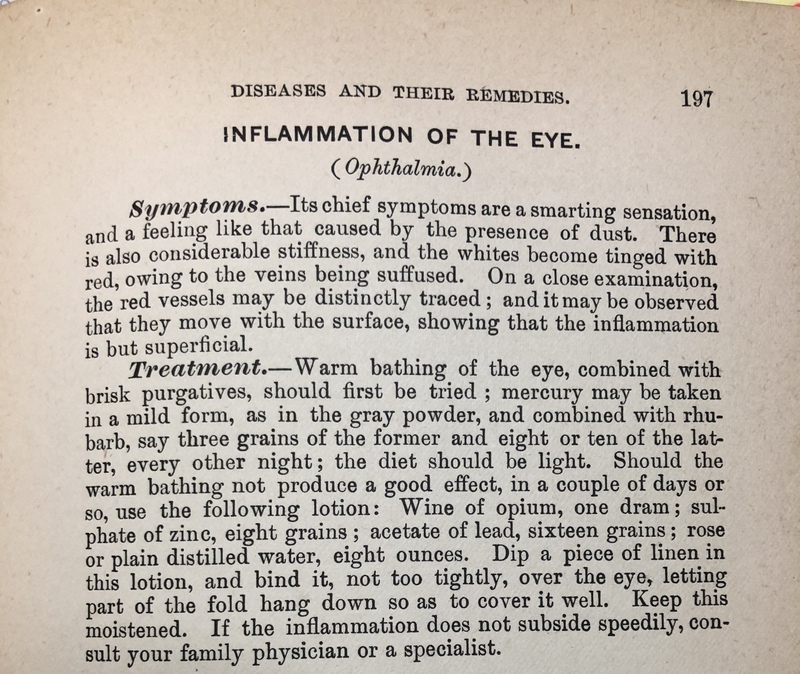 The safest recommendation is to be out until there is no longer any discharge, but this is not practical since it could last for up to 2 weeks.